Business needs are becoming increasingly specific. Getting attention in a loud and crowded market place can be a challenging task in itself so it is important to make it easy for the leads that are generated to make a decision. Communicating USP’s to the various segments is still important but it is also necessary to make it easy for potential customers to say yes. This is accomplished by creating a set of Decision Support Tools (DST’s) that communicate and demonstrate the features and benefits of the products to the user, favourably of course! Consider your sales funnel and the touch points between the marketplace and your communications. Help simplify the decision making process by providing consistent and clear messages. Clearly demonstrate product features and their benefits to the consumer. Your website will host a range of DST’s from FAQ’s, product demonstration videos, feature/benefit tables and market orientated content. The website itself will communicate the professionalism, tone and usability of your product. Ensure that it is user friendly, clean and that it demonstrates your expertise and quality. Content is king for many reasons. When it comes to influencing a decision, create white papers and have relevant up to date blog entries that communicate your selling points and demonstrate your knowledge and expertise. If you are leading with low cost include a calculator that benchmarks you against the competition. Develop an web or mobile application or widget that will assist a user in matching their requirements with your features. If you have a good product then you will be able to ask your existing customers for great testimonials. Ideally a good testimonial will be specific, stating the problem and how it was solved. Also, let your existing customers show the love! Online communities will be an honest source of information about your product. Ensure that you are responding to your existing customers; demonstrate that you resolve issues and that you respond to feedback. Manage your funnel well. Plan it out, considering all the touchpoints from lead to retention. Get it right at the start so you can move leads along to a purchase decision. Closely watch the effectiveness of your automation, such as emails from initial enquiry or sign up. 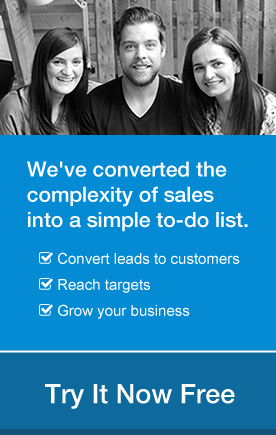 Make sure your telesales are helping leads to say “Yes, I’ll buy it!”. I got a sales call yesterday during lunch for a B2B product I had trialled. At no point did the representative try to help me, rather they followed their script for each of my responses. Not once did they ask why I signed up for the trial! How can you help someone buy your product if you do not know why they are buying it? Is your product good? Then let your customer try it. Help them discover new features along the way. It is a great opportunity to engage with a prospect and it will be the ultimate DST. Be sure to manage the trial period effectively. If it is web based monitor the analytics on the automated mailing during the trial period, review the features that are used during the trial and how long is being spent online with it. If it is physical product, be sure to keep in touch. Offer to call in to do a refresher demonstration or assist in choosing the best operating policy. 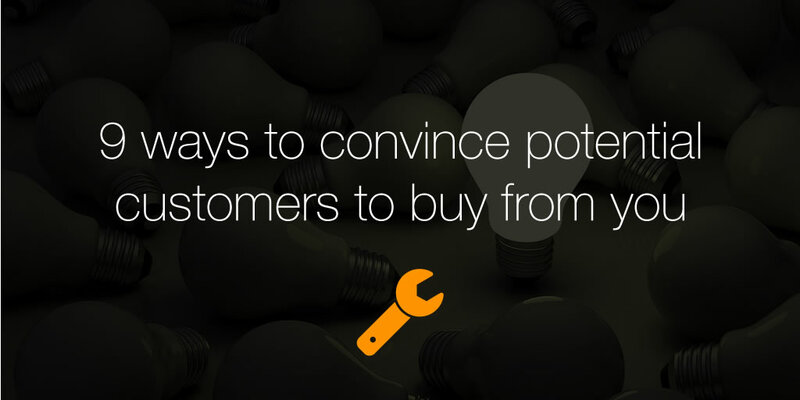 Whatever you are selling, use this time to let your potential customer know how attentive you are to their needs. If you are required to prepare a proposal, customise it to their needs. Focus on their requirement and the features you provide that solve their problems. If your proposal template doesn’t but it, then scrap it and start a new one. Include their logo, but keep the content focused on providing the information they need to make a purchase. And remember to be sure to respond quickly and comprehensively to your customers own DST’s such as specification and pricing request forms. Treat these as if they were your own sales tools and follow up accordingly, offering any relevant support. If their request seems vague, it is a good opportunity to ask more questions and exceed their expectations in your response. Most of us intuitively implement DST’s without considering them as such, but when you take the time to consider these tools and their role in simplifying the decision process, more can be added to your arsenal. Remember the foundation of marketing – segmentation, targeting and positioning. Use these to understand your customer and what they really need. Sometimes they might just want someone to do all the work for them. In that case, be sure you are the first salesperson there to do it and the sale is yours!